Whether you own a handgun, pistol, rifle, shotgun or multiple firearms, there are two main reasons why EVERY gun owner (not just firearms collectors or law enforcement) should own a good quality gun safe. To keep them out of the hands of children and burglars. According to the National Center for Injury Prevention and Control, there were 122 accidental firearm deaths in children in 2007. In addition, another 3,060 children were treated for accidental shooting injuries, mostly due to the fact that children are curious. 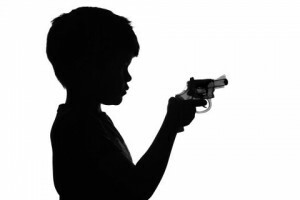 In 2010, another 114 children (under the age of 18) died due to accidental shootings. The fact is that many of these deaths or injuries could have been prevented if parents had utilized a proper safe within their homes. Did you know that over 4 million homes are burglarized in the United States each year? While protecting your family is a top priority, it’s been shown that gun owners are at very high risk of having their guns stolen. This is most likely due to guns, particularly handguns, being able to quickly be sold on the street for cash, commit armed robberies, or even worse. The best prevention for gun theft is a good quality safe. So what is the best gun safe for YOU? Purchasing a safe may seem overwhelming with all the different design options. Every gun owner will have different needs and budget available to spend. Here we go over some of the main things to consider before buying your new gun safe. The first mistake most people make when buying a safe for their guns is getting one that’s too small. Sure, it may be the perfect size for your current firearms but what do you do when your gun collection grows as is most often the case? It’s best to buy a unit slightly larger than you currently need. Any extra room you have available can easily be filled with other valuables such as jewelry or important documents. If you’re only looking to store a handgun or two, a good pistol safe or handgun safe would be recommended. For larger rifles and shotguns, a bigger safe is obviously needed. The safe height recommended to store your rifles should be about six inches taller than your longest rifle. Obviously, a large 24-capacity safe is not a good option for everyone. For gun owners who live where storage room is limited, there are fantastic options for apartment gun safes including some under-the-bed models. Concealed carry permit holders also have special requirements to consider. Since cars are much easier to break into that homes in most cases, it's highly recommended to install a small car gun safe inside your vehicle; the more hidden, the better. A correctly sized model balances ease of access and efficiency. Even though a particular unit says it will hold a certain number of rifles or handguns, it’s best to always buy a larger size than you think you need. It’s similar to buying a 5-person camping tent and then realizing it’s barely big enough for 2 adults. 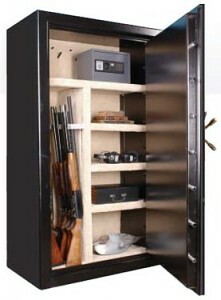 A good rule of thumb is to buy a gun safe with twice the capacity you think you will need. Not everyone has thousands of dollars to invest in a top-of-the-line model and manufacturers understand this. A lot of people simply want to protect their children and not worry about how easy it is for a thief to steal their gun(s). For them, a good quality budget gun safe would be just fine. Others either require more features or need a higher quality and more secure safe to protect their valuables. They may simply need the best gun safe available under $500, under $1000, or whatever they can afford. What every model absolutely has to have is the ability to keep firearms away from children and the ability for you to quickly retrieve your firearm in the event you need to protect your family from intruders. The walls of a safe come in various thicknesses. Generally speaking, the thinner the walls, the less secure your firearms are from both burglars and fire. The door of the safe is almost always much thicker than the body so many thieves will attempt to attack the body of the safe rather than the door. Some of the best have walls made of 10 gauge steel with a 5/16” solid plate door. Thicker is always better but be aware that wall thickness is proportional to price. Finally, make sure the safe has some type of armor shield over the lock box. A thick, well-built gun safe will also be able to better withstand indirect impacts from falling objects due to house fires. If you're simply in need of a good solid gun safe for your bedroom to keep in your night stand, 16 gauge steel seems to be the norm. All things considered, a mechanical lock is recommended in most cases. While slower, they are far less problematic than electronic locks and much more durable. While manual locks are on about 90% of safes sold, cheap electronic locks account for about 90% of all problems. Make sure to choose a mechanical lock design that meets UL Goup II certification. While it should be common sense, be sure to always spin the dial after shutting the door. There’s no point to having a gun safe if you forget to lock it. If you do decide to go with the convenience of a digital lock which include the latest biometric safes, it’s highly recommended to go with a UL Type I, commercial grade lock. Most quality commercial digital keypads will last a good 10 years of continuous use before needing to be replaced. Avoid cheap, imported electronic locks at all costs as they have been known to fail much sooner than others; often when the door is locked. As with all electronic locks, makes sure to reprogram the combination from time to time so the keypad doesn’t show wear patterns. 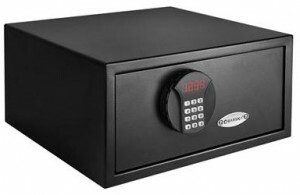 Some of the latest technology can be found on biometric gun safes which scan your thumbprint to open and don’t require memorizing any numbers. Don’t assume a fire will never happen to you. 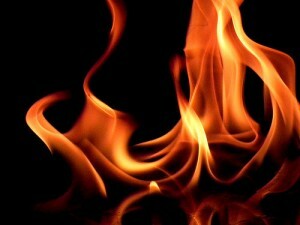 Each year there are more than 400,000 residential fires. It’s a good idea to make sure your new gun safe provides fire protection. A UL Rating of 350 degrees Fahrenheit for at least one hour with fire cladding all around is recommended. The most common fireproofing materials are sheet-rock and ceramic wool blanketing. Sheet-rock has a tendency to disintegrate under a sustained fire so some companies use extra treatments. Make sure you’re aware that a UL-listed fireliner and UL-rated fireliner are different. UL-listed merely refers to the fireproofing material used in the safe, not how fireproof the actual safe is. Lighting – Having some type of lighting inside your safe is important. It’s never a good idea to simply feel around in the dark for a gun. A few LED lamps on the walls, rope lighting, or a simply overhead fluorescent light should do the job. Check out our top picks for best gun safe lighting. Rotary Racks – Works similar to a Lazy Susan, rotary racks are an extremely convenient way to store your rifles. Handgun Drawers – Pull-out horizontal drawers within a safe are the best way to store handguns. Look for drawers that are 3” high and are lined with carpet or cloth or purchase some type of gun sock (ex: Bore-Stores). Dehumidifiers – To prevent rust and corrosion, controlling humidity and temperature inside your safe is crucial. There are many types and sizes, but here are two of the very best gun safe dehumidifiers. Hinges (external vs. internal) – External hinges are the preferred option. They allow the safe door to open a full 180 degrees and allow the door to be easily removed for transport and servicing if needed. Where the hinges are have no effect on how hard it is to break into a safe. Instead, it is the job of the locking bolts to secure the safe.